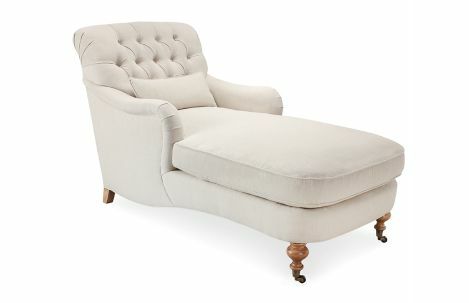 Upholstered chaise on turned wood legs with casters. Upholstered chaise on turned wood legs with casters. Available in countless fabric and leather options. Standard with welt and (1) 10” x 18” throw pillow.